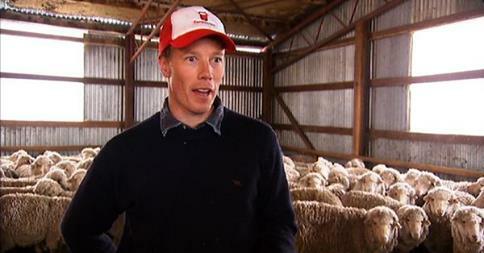 This weekend Farmware was featured on the ABC's Landline. High Tech Farming! Thank you to Fiona Breen and Crew from the ABC for coming up and enduring the wind! Farmware has a YouTube Channel and our small collection of videos is growing! 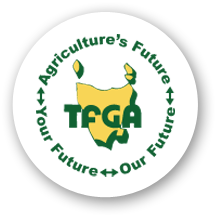 Award winning Tasmanian young farmer, James McShane, today announced a series of “roadshow” events at farms in southern Tasmania to launch his new farm management application. Mr McShane and his business, Farmware, are NBN champions for the Tasmanian Farmers and Graziers Association, and are encouraging technology use on Australian farms. 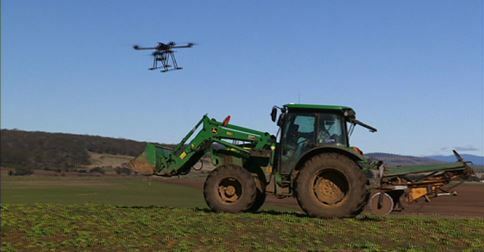 “Mobile technology has already significantly changed the way we live, but until now, there has been a significant lacking in rigorous mobile technology for farmers,” Mr McShane said. Farmware will hold two roadshow events prior to Christmas, which will allow farmers to see a demonstration of the app and ask questions in an enjoyable and relaxed environment. “Farmware is a fantastic tool for the modern day farmer, as it allows them to record and keep all of their data on their mobile or tablet device,” Mr McShane said. “Gone are the old days of writing everything down in your notebook, only to have to type it into a spreadsheet when you get home in the evening. Double entries are inefficient and a farmer’s time is a precious commodity” said McShane. Farmware is a web application that allows farmers to enter the records of their livestock, crops and storage in the field, offline and simply. Users synchronise their data with the Farmware Cloud so it is safe as well as available to other devices and users within their business.